I am embarking on an incredible journey made possibly through the generosity of the donors at Jewish Federation of Greater MetroWest NJ. 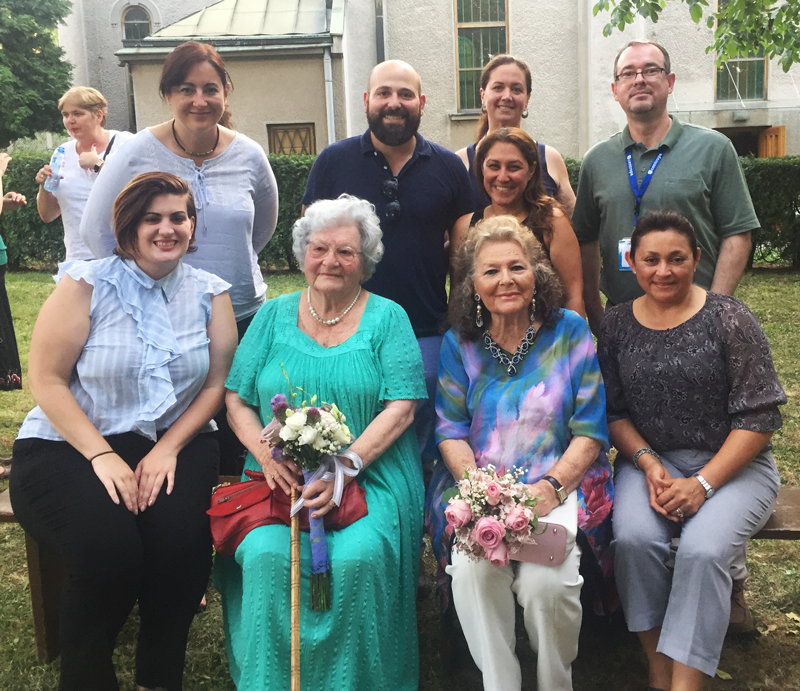 Through the Paula and Jerry Gottesman Family Supporting Foundation of the Jewish Community Foundation of Greater MetroWest NJ, I am accompanying five Newark Public School teachers on a nine-day Holocaust education teacher training program through Budapest, Hungary and Belgrade, Serbia. Through the European based Centropa Summer Academy, we will be immersed in the Jewish culture that was once so vibrant in in these two cities and learn innovative and engaging ways to motivate and educate students. 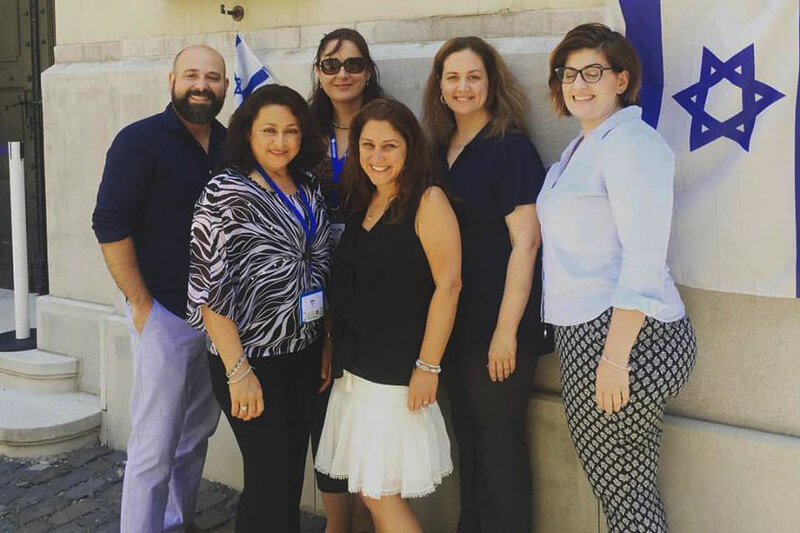 The five teachers will also have the unique opportunity to meet and collaborate with 90 other teachers from around the U.S., Europe, and Israel – forging bonds that will enable them to bring their students together in the coming school years. Back in New Jersey it is the middle of the night and I am sitting here passing the hours in Hamburg, Germany, while I await my connecting flight to Budapest. During my late teens and 20s, I spent many hours passing through train stations and airports throughout Europe. Despite the many years that have past since I traversed Europe, I find myself in awe of how utterly familiar this all seems and at the same time, completely foreign. For this time I pass these hours thinking not of which city I will hit next, but of the extraordinary impact that this journey will make on so many others, many of whom I do not even know. Through the generous support of the Gottesman Family Fund, the teachers partaking in this journey will no doubt have a moving, life changing experience, thereby returning to school in September ready and able to impart this experience on their students. So as I sit here in this airport, much as I did so many years ago, I think now of impact, a word we use so much in Greater MetroWest. I am confident that the impact of this opportunity will be simply astonishing for our community. Thursday, July 6: Is Being Jewish a Burden? Wow! Despite knowing and understanding how difficult and painful it was to be a Jew in Europe during the Holocaust and then again during the Communist Era, I still really could not believe what I was hearing. Could it possibly be true that many, if not most, Hungarian Jews felt that being Jewish, after the Holocaust and in the depths of Communist Hungary, was a burden? Was it possible that Jews that had survived the horrors of the Nazi period were not going to be Jewish because it was just too hard? Studying the Jewish experience in Europe, specifically in Budapest, over the 20th century has been a truly fascinating journey. Our journey is showing us not only the history of the Holocaust in Hungary and Serbia but is delving into the entire Hungarian Jewish experience of the past century. I know and understand the importance of teaching the Holocaust, yet here it has really been impactful to learn about the entire picture of Hungarian Jewry before, during, and after the Holocaust. Here in Budapest, the Jewish community is many things; and it is very much alive, unlike many of the lost Jewish communities across Europe. Many Jews in Hungary, until recently, had not known they were Jewish, mainly because their parents and/or grandparents felt that being Jewish was a burden, was risky, was too difficult, and, to them, was not worth it. After hearing this, I felt it was important to discuss this idea of “Jewish burden” with the Newark teachers here with me, none of whom are Jewish or teach Jewish students. Yet all of them have a deep interest in educating their students about the Jewish experience not just in Europe and the Holocaust but in Newark as well. We talked about this issue and all felt a deep sadness as we realized the reality of the “Jewish burden” belief. One of the teachers pointed out that Nazi Germany’s goal was to eradicate Judaism from Europe. If Hungarian Jews who survived the Holocaust and were living in Communist Hungary felt that it was just too difficult to be Jewish, then Hitler succeeded in a way, did he not? It is comforting to know that since the fall of Communism many Hungarian Jews are telling their children and grandchildren about their Jewish roots. Many are becoming involved in the Jewish community and engaging in Jewish life. But there is a long way to go and, sadly, many Jews survived with their lives, but without their Judaism. When I return to New Jersey, I hope to meet with community members to discuss this issue of Jewish burden that faces Hungary’s Jewish community. I hope it is something that we as a community can address. Yesterday, on the Centropa Summer Academy, my group visited a former concentration camp right in the heart of Belgrade, Serbia. The camp, Saro Sajmiste, which was set up by the Nazis on the Belgrade fairgrounds, was operable from 1941 to 1943. Jews and Roma Sinti from the area were forced into the camp. By 1943, most of them had perished from the horrid conditions or were either gunned down or gassed. In total between 4,000 to 6,000 Jews and 1,000 to 1,500 Roma Sinti were murdered at Sajmiste. Today there is a community on the site. Homes, shops, playgrounds, and even a restaurant where the morgue once existed, populate the area. There are only a small plaque and a memorial in another section, but otherwise the area looks like a normal community. Most people coming through, and many of the residents, are not even aware of the atrocities that took place there. The question is, what should be there? Who should be responsible for memorializing the area? And what can we as a community across the world do about this situation? Sajmiste is just one of many sites like this in Europe. As the five Newark public school teachers and I reflected on this issue, we shared our frustration and considered what we could do about it. We realized that, as much as we would like to influence the Serbian government and make a physical change to Sajmiste, most likely that was not realistic. Instead, these five teachers will return to Newark and teach about the mass murder that wiped out 90 percent of the Jewish population of Serbia. And in a sense, the sharing of the victims’ story 75 years later to students on the other side of the world who previously knew nothing about their existence or their horrible death, is the best way to memorialize them. We can change what young people know and understand about not only the Holocaust, but about the Jewish communities that once existed throughout Europe. There’s no doubt that memorialization on sites of concentration camps and mass murders needs to take place. But through education, these students will know what happened because of this amazing opportunity their teachers had. This is Greater MetroWest making an impact. As my week-long Centropa Summer Academy was drawing to a close, I started reflecting on a variety of “why” questions. Why study the Holocaust? Why listen to the stories? Why stress the importance of Holocaust education? Why Centropa? Why, why, why? Centropa’s aim, at first, was not on education. Its mission was to conduct interviews with the remaining members of a variety of Jewish communities in Central Europe who had survived the Holocaust. The goal was to document their lives, along with their pictures, in order to tell their stories – from pre-war, during the war, and after the war. So why should we care about this? We care to memorialize the victims. We care to honor the survivors. We care because we hope the telling of the stories will help to teach the lessons of the Holocaust, so young people today understand the importance of standing up for others, and working together with those who are different from them in order to get along and co-exist. As the initial years of creating Centropa’s database went on, many of the stories were ultimately made into films and then lesson plans. They developed educational tools for teachers and established training initiatives throughout Europe. What began as the documentation of stories has evolved into using those stories to teach the Holocaust. I have participated in numerous teacher workshops on the Holocaust. They were all valuable. However, there is something about Centropa’s Summer Academy that sets it apart from all others. This eight-day journey truly answers the question Why educate about the Holocaust? We teach the Holocaust to show that Jewish life in Europe was vastly vibrant before the Nazi rise to power. We teach the Holocaust so we tell how those vibrant communities were torn apart and destroyed. And we teach the Holocaust to show that those that survived did rebuild. These are the lessons for the next generation, and over the past week I and the teachers with me had the privilege to hear so many of them right in the location where they took place. Through staff lead, as well as guest lectures, the participants in Centropa’s Summer Academies are exposed to a multitude of different stories, along with ways to use them in their classrooms to engage in thought-provoking, engaging, and relevant lessons for their students. These lectures are seamlessly woven into the week along with the tours. Also participants have the opportunity to collaborate with other educators from around the U.S., Europe, and Israel to create lesson plans which utilize Centropa’s resources. 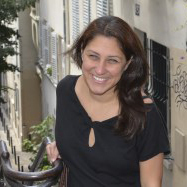 By completing these lesson plans and sharing them with the entire group, the educators return to their hometowns and new school years with real ways to connect their students to the Holocaust. By honing in on the individual stories of victims of the Holocaust, Centropa paints a canvas of learning, enabling teachers to make connections for their students in their own lives today. Newark Students Embark on a Journey to Holocaust Museum in D.C.